Walead Mohammed Mosaad was born in New York City in 1972 and grew up in New York and central New Jersey. He obtained a Bachelors degree in Engineering in 1994. He has also completed degrees from al-Azhar, the University of Liverpool, and is currently a PhD candidate in Arab and Islamic Studies at the University of Exeter in the UK. 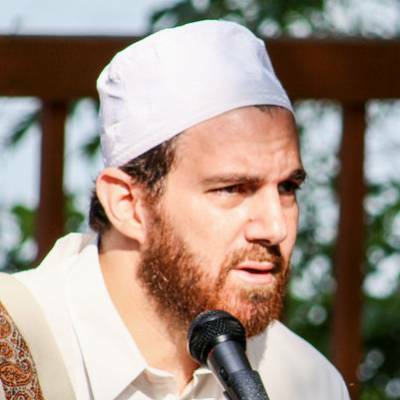 Since 1997 he has been studying and teaching the Islamic sciences in the Muslim world as well as Europe and North America. He has been blessed to study with such luminaries as Shaykh Ahmad Taha Rayyan, Shaykh Ali Gomaa, Shaykh Saeed Albouti, Shaykh Kurayyim Rajih, Shaykh Bakri Altarabishi, amongst others. From 2005 to 2011 he worked with the Tabah Foundation in Abu Dhabi as the Cultural and Education Projects manager, where he developed educational initiatives to address the needs of new Muslims, as well as initiatives to foster cross-cultural and interfaith understanding. He has lectured on various topics of interest, including Muslims as minorities, interfaith understanding, and the importance of purification and spirituality in addressing the human condition. He has taught or lectured in the US, Canada, Trinidad, Guyana, the UK, France, Belgium, Denmark, Spain, Singapore, Malaysia, Kenya, India, Bahrain, Jordan, Sudan, Saudi Arabia, Turkey, Egypt, and the UAE.